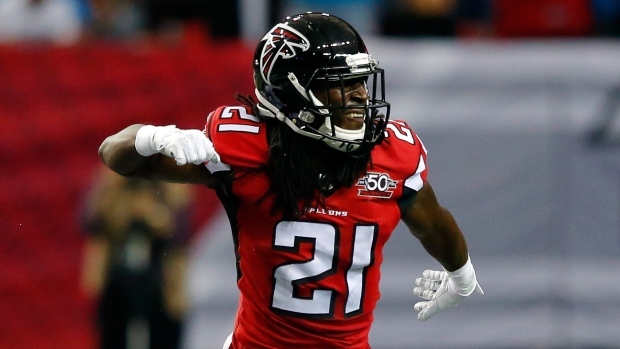 FLOWERY BRANCH, Ga. - Atlanta Falcons cornerback Desmond Trufant and fullback Patrick DiMarco have been added to the Pro Bowl roster. It is the first selection for each player. They replace two Carolina players, fullback Mike Tolbert and cornerback Josh Norman. DiMarco becomes the first Falcons fullback to be selected to the Pro Bowl since Ovie Mughelli in 2010. Trufant had 42 tackles, 11 passes defenced, one interception, one sack, two fumble recoveries, and one defensive touchdown. Coach Dan Quinn said Monday the honours for Trufant and DiMarco show "good things happen to those that work." Atlanta wide receiver Julio Jones and running back Devonta Freeman were named to the Pro Bowl in December.